What struck me most about Singapore was how this sleepy, swampy mosquito infested island in a piracy ridden area evolved into what it is today - a thriving financial hub. And the most exciting way of exploring the transition from the past into the present was by foot. 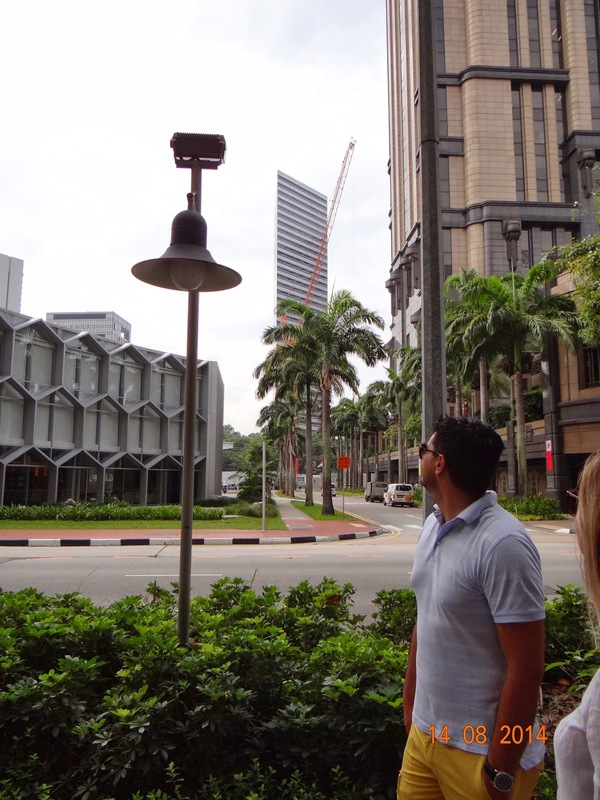 I came across walking tours conducted in Singapore for those interested in exploring its history. 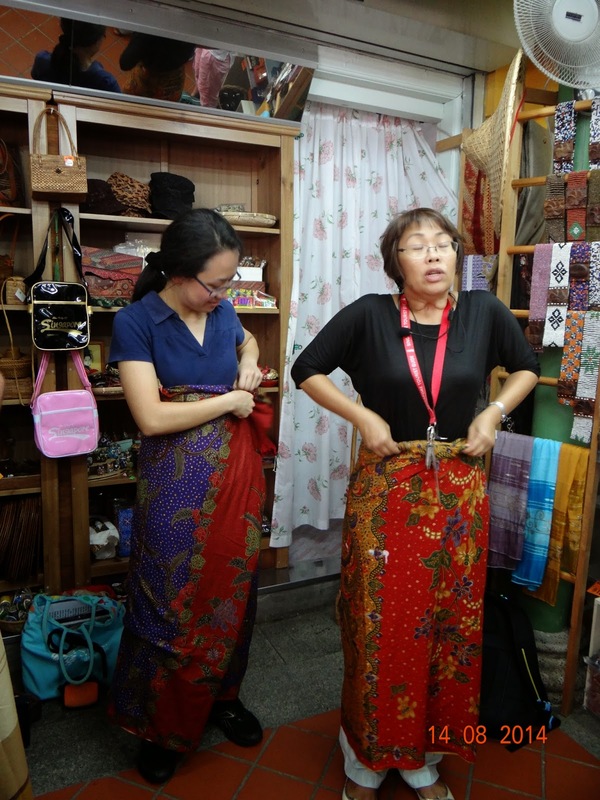 And one tour that fit my schedule was the Kampong Glam tour conducted in and around the Malay areas and Arab Street. At Bugis, our guide, Geraldine was waiting for us and in some time, a pretty large group of nearly 15 gathered - most were Australians, there was a Spanish couple and, to my surprise, a Singaporean university student, who joined us because she wanted to explore the hidden side of her nation. The colonial administration, seeing a fire hazard in the wooden Kampongs, forced the locals to redevelop and construct concrete houses, with a 5 feet pavement in front and a roof covering the pavement. The locals saw an excellent commercial opportunity in this - they constructed two floors. The ground floor was invariably used as a shop, with the covered pavement protecting the buyers from rain, while the top floor became their dwellings. Alongside the street, Geraldine paused to show us Parkview Square, an imposing office building constructed in art-deco style. Statues of famous figures flank the building's plaza - these include Sir Winston Churchill, Sun Yat-sen, Abraham Lincoln, Plato, Sir Isaac Newton, Frederic Chopin, Salvador Dali and Dante. The building is home to banks, companies and the UAE Embassy. Geraldine claimed the building was an opulent structure with gold plated figures and a three-storey high wine cellar inside, with the most expensive and rare wines placed on top. In jest, Geraldine suggested that we stop by at the cellar after our walk was over, and have a drink, if we could afford it! 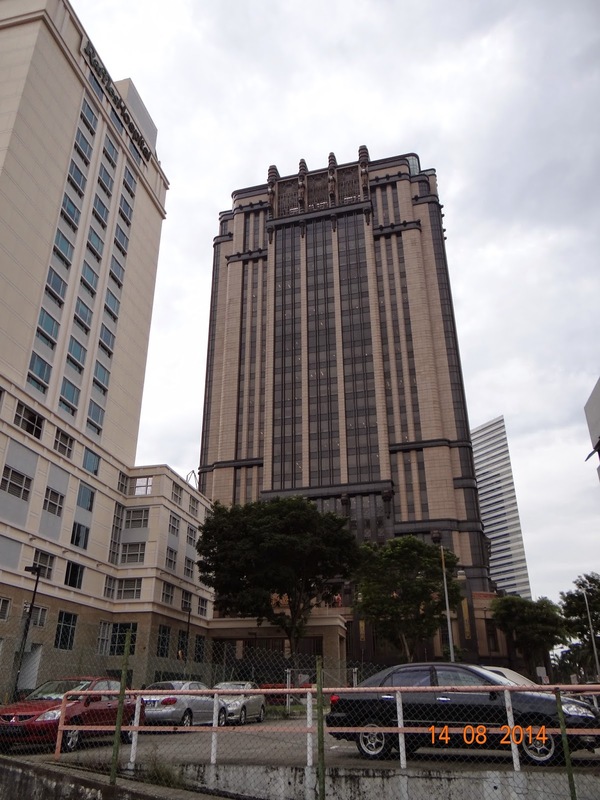 Behind Parkview Square is a modern twin-tower complex, The Gateway, designed by the legendary I.M. Pei. Geraldine told why most Singaporeans were not too pleased with it - with a trapezoidal cross-section and sharp corners, the building didn't follow the basics of Feng Shui. But then, as with Indian vastu, they did find a way out - a way to channelise the energies in the building, making it kosher for Feng Shui believers. The big plot of land in front of The Gateway has been lying vacant for years because it was rumoured that no local developers wanted to develop it despite its prized prime location, simply because of the bad effect the the bad Feng Shui of The Gateway. The vacant site now belongs to the Malaysian Government since 2011, and jury is out whether the plot will be developed or not. It is also said that Parkview Square was designed to absorb the negative Feng Shui of The Gateway - it was designed with protective gargoyles. When I heard this trivia, Singaporeans did seem a bit too superstitious. But you got to give the ethnic Chinese the credit they deserve. 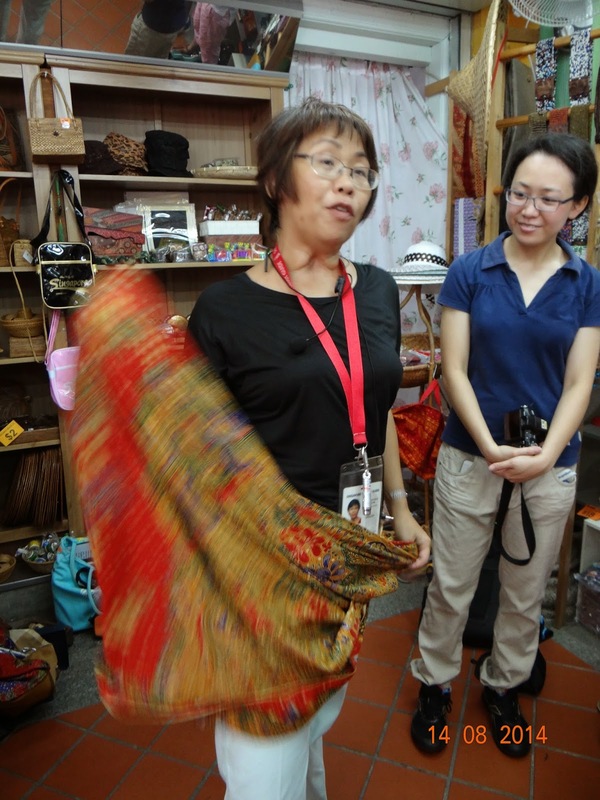 I tell you, despite the modernity of this island, the ethnic Chinese here are still grounded to their roots (that lie in mainland China) and their ancient heritage, which in a sense is very, very appreciable. 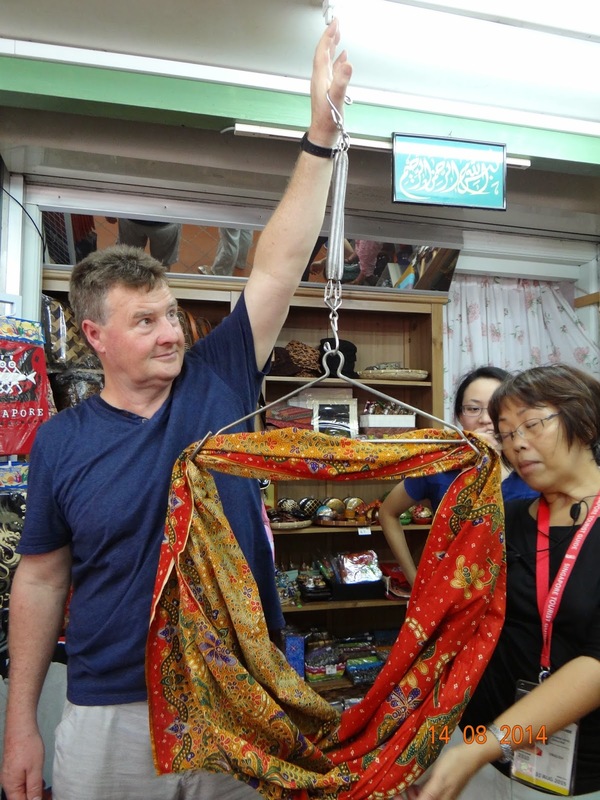 After this we were heralded into another shop, this one owned and run by two elderly Malay ladies, stocking stuff that was traditionally Malay. Geraldine showed us a box of betelnuts.... She explained the significance of how betelnuts were once used as money and were used to display friendship, peace and affection. Betelnuts have a major significance in Malay culture and offered as gifts at the time of betrothal.